Finally! 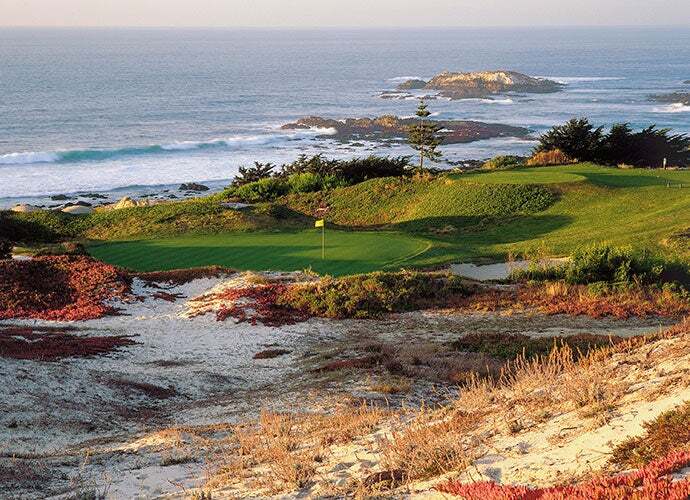 This course made its Top 100 debut 166 years after it opened. An American visitor once asked a member why they'd built Prestwick so close to the local airport. As told by Golf Club Atlas, the polite member could only roll his eyes; locals have been playing golf at Prestwick since before the club formalized in 1851. That was long before airports and certainly before golf course rankings, but this year, Prestwick nabbed the final spot on the list to finally make its debut in Golf's Top 100 Courses in the World. This year's No. 100 course has existed in its current form since 1922, with its only significant changes coming from new tee boxes built to lengthen the original design. Even as design concepts have changed around the world, Prestwick has remained true to its pre-bulldozer design, characterized by blind shots, wicked slopes, and a commitment to the natural contours of the original land. Prestwick's commitment to the idea that a certain type of shot shouldn't yield a particular result has long dislodged golfers from their comfort zones, and inspired fierce admirers as well as critics. But its importance in golf history is undeniable: Prestwick was designed by golf's founding father, Old Tom Morris, who served as the club's greenskeeper and club maker, and taught his son, Young Tom, to play there. The club incorporated the first ever Open Championship in October 1860 in an effort to crown the "Champion Golfer of the World," and hosted the first 12 Opens, which consisted of three trips around the 12-hole course in one day. Old Tom and Willie Park, Sr. combined to win seven of the first eight Opens before Young Tom took the reigns. He became champion golfer of the year at age 17 and remains the youngest major winner in history—as well as the only player to win four Opens in a row. Prestwick was extended from 12 holes to 18 in 1882, when the club acquired new land. It hosted 12 additional Opens over the following decades, but the cramped layout is ill-suited for large galleries, and when spectators overwhelmed the event in 1925, organizers decided not to return. You don't have to go far from Prestwick to run into other top courses: from the property, you can see Royal Troon (#47 on this year's list) just to the north, while Trump Turnberry (#16) is just south down the coast.